Despite reaching the World Cup semi-finals, England still have much work to do to progress, according to captain Harry Kane. Gareth Southgate's side, who lost 2-1 to Croatia in the last four of the tournament in Russia, take on Spain at Wembley in their opening UEFA Nations League clash on Saturday night. However, Kane has warned his team-mates not to rest on their laurels as they attempt to qualify for Euro 2020. "It is good to see them again," he told Sky Sports. "Before I left, the missus said, 'Oh, you are back off on your boys' holiday again!' And that is what it kind of feels like. "We got on so well and to be back so quickly… the World Cup does not seem that long ago and it is like coming back to meet with your mates again. "But we know in the back of our minds that there is a lot of hard work to do from now until the Euros to first get there and then hopefully go even further than we did at the World Cup." 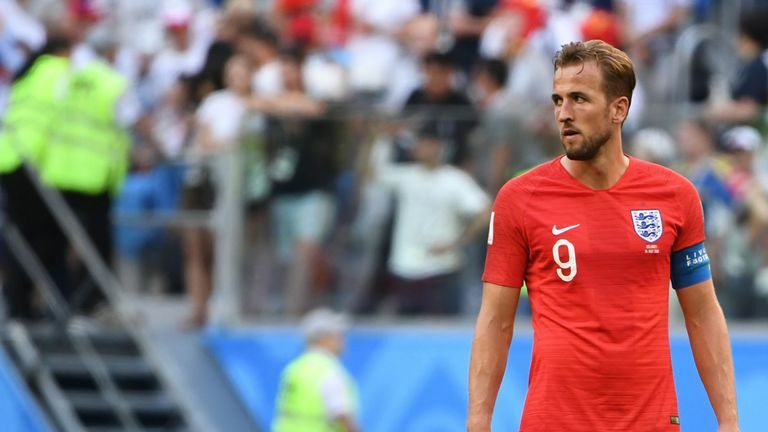 While Kane and Co still hold regrets about that painful defeat in Moscow in July, especially after leading with a quarter of the game to go, the Golden Boot winner wants that hurt to drive the team on going forward. "I think I said it after the tournament, of course we were very proud of what we achieved," he added. "We know that on another day it could have been even better and we could have been playing in a World Cup final, which we all wanted to do. "It was a great tournament for us, but for the gaffer as well and he had a lot of good memories from that. He is the type of guy, like us, who will now push us on to go even further. "Normally the first thoughts are happy memories, goals and wins, but then obviously you go on to think what could have been. "So that will always be there until hopefully we can change it."